I just got my hands on the younger cousin of the LG G3! Launched recently, it's a toned down version of the D850. Like the D850, it's available in the same 3 colours of black, white & gold . The first noticeable aspect of the phone is that compared to it's G3 big brother, it's somewhat lacking in terms of how it looks and feels. Sure the grip on the back is still good thanks to it being textured, but it's still plastic which makes it feel a little cheap. Then again, it's less than half of the price of the G3, so what it lacks in premium quality all comes down to its reduced price. The volume rockers are very similar to the G3, but that's where the similarities stop. On the plus side, the thin bezel along the sides of the phone make the screen look huge. The phone weighs in at around 163 grams. The stylus is a good addition to the phone, but as there are almost no apps that make the stylus mandatory, the phone can be easily used without it. Also, it's nothing like the S Pen with its pressure sensitive capabilities, as instead it's merely just a typical stylus with a rubber tip. The display is 5.5 inches QHD with a resolution of 960x540 at 200 ppi. It's a little lower than expected, but to be honest once it's in your hands the screen looks colourful, bright, slick and sharp. In terms of specs, it's a quad core Mediatek MT6582 at 1.3 Ghz and Mali-400MP2 GPU. 1GB RAM and 8GB internal memory with an expandable option of up to 32GB via a Mico SD slot. It's got a beast of a battery at 3000mAh too, but you'll need it as the 5.5 inch display will use up most of it. In terms of hardware it's kind of last year, quite frankly. That said, out of the box it's 4.4.2 with a neat and attractive LG UI, which is welcome change. Dual window mode is excellent too, as you'll be able to run two apps at the same time. Fancy scrolling through Youtube videos while keeping an eyes on Twitter? Or how about checking out the CeX website with your music player nestled alongside it? It's all doable with dual window mode. The camera is quite impressive. Taking pictures at 13MP @ 4128x3096 with autofocus and LED flash, daytime pictures looks especially great. It also features geo tagging, touch focus and a panoramic mode. Video shoots at 1080p at 30fps which is pretty nice, but the disappointment comes with the front camera which shoots at 1.3MP. This can't be explained away by the fact that it's a “cheap” LG though, as even the HTC Desire 816G shoots at 5MP with its front cam. It's just lazy. 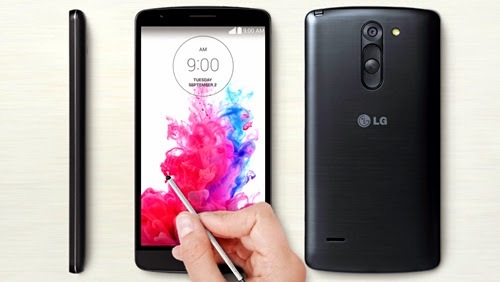 Buy it if you want a decent looking phone with a large screen, dual SIM with a good rear cam and if specs really don't matter to you, pick up the LG S3 Stylus, it gets a 3/5.